Dinner: Tina and I joined a few friends at Olivia's (2043 S Lamar Blvd, Austin, TX‎ - (512) 804-2700‎) for dinner. 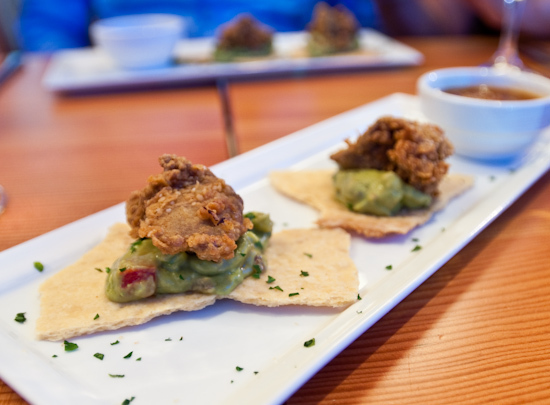 We started with fried local chicken livers guacamole, flatbread, bbq sauce. The livers were mild in flavor and excellently fried. The guacamole paired very well with it. I wasn't so sure about the BBQ sauce which tasted like a sweet cocktail sauce. 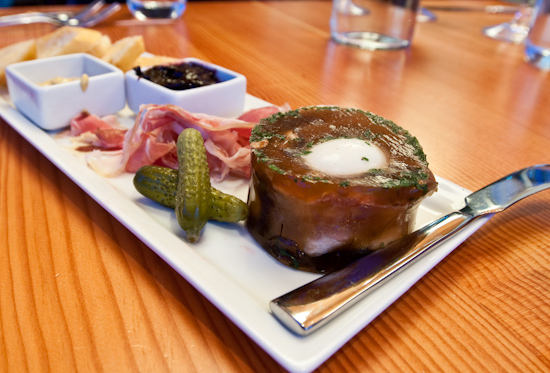 charcuterie plate pate de campagne, housemade proscuitto, chicken liver-fig pate, berry prosecco jam. Because we chose to do a prix fixe menu, the charcuterie plate was smaller than the normal - and it didn't seem to have the chicken liver-fig pate or the pate de campagne. It did come with an egg and bacon aspic which was good. Erin McReynolds managed to get us some pate de campagne to taste which was delicious. It wasn't a creamy spreadable pate like I expected, but more firm but with a wonderful smooth texture and flavor that wasn't overly rich. 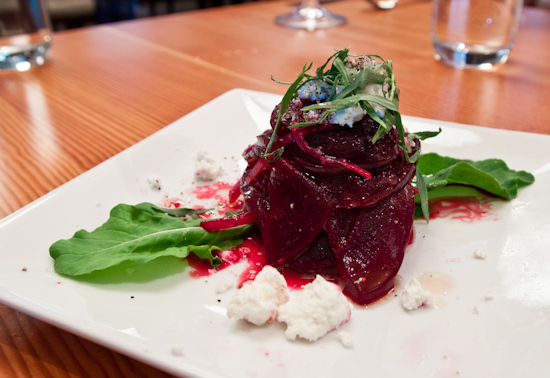 beet salad chevre, red onion, cracked pepper. Both salads were good and worth getting again. 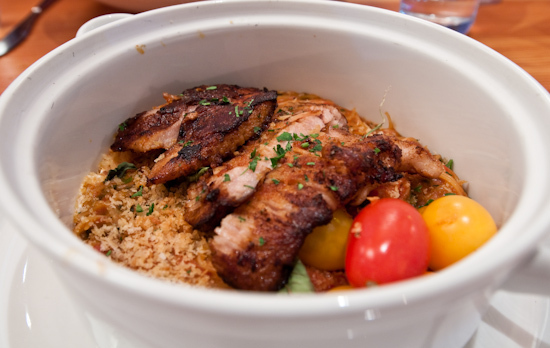 braised pork jowl amaranth, tomato, basil, housemade mozzarella, capellini & focaccia breadcrumbs. The jowl was amazingly soft, tender, and full of flavor. It was very good. The red sauce that the capellini was mixed with was a bit to rich for such a light pasta. I felt like it needed a lighter sauce or the pasta should have been a bit bulkier to hold up to the sauce. 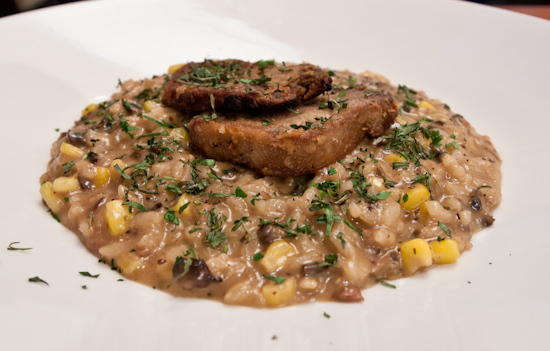 veal tongue risotto mushrooms, corn, tarragon, parmesan. This dish was overly salted when Tina received it. She sent it back and the kitchen confirmed that it was too salty. When she received her new one, it was underseasoned. Even after she added salt, it didn't taste right - the risotto was underflavored to my palate and the mushrooms seemed watery and too mild. There was also a weird sweetness to the risotto that I didn't enjoy. 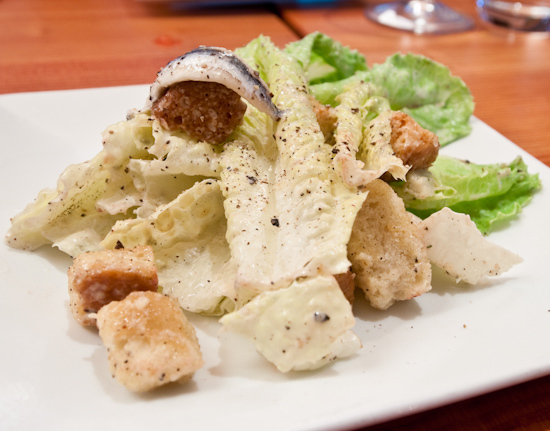 The tongue I tried was crisped all around (it had been fried) which was delicious and the interior was tender. Unfortunately, Tina and others that tasted it found some of the tongue to be chewy so parts were overcooked. We also received a scoop of ice cream (I chose basil and Tina had ginger) with our meal. The basil ice cream was excellent and if given the chance, I'd definitely have it again. Food service was at a gentle, relaxed, walking pace (some would say slow). If you've got time (like we did tonight), then it's probably okay. We had a party of six eating three course meals and it took about 2-1/2 hours. 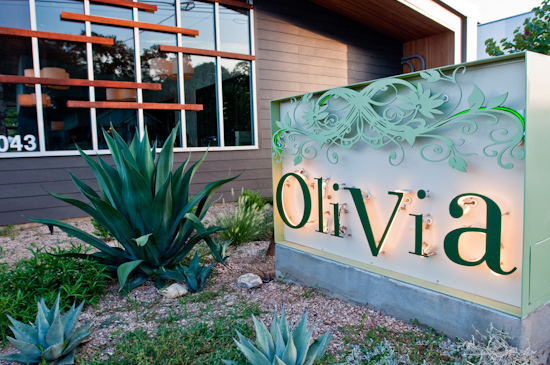 I probably won't plan on going back to Olivia's, but if I wouldn't be displeased to find myself dining there again. Lunch: I had some leftovers that we scavenged from the fridge. 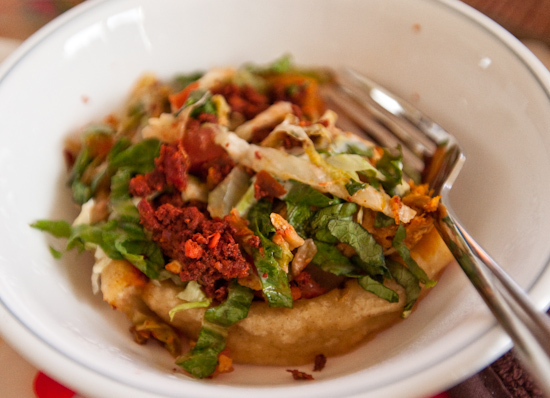 I started with the leftover sopes from Azul Tequila. 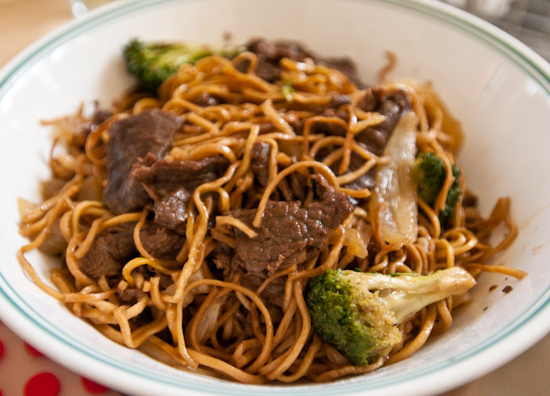 Then finished up with some beef and broccoli fried noodles from Pho Thaison.